Paradise Lost graced the Waterfront in Norwich, Norfolk, on 30 April 2012. I had the fortunate experience of being there, center stage, to watch the veterans of gothic doom perform a wide range of their discography to the loud, albeit sparse Monday night crowd. This concert review is coming from a different angle this time around. Instead of reviewing the show from a distance as a spectator, my review is based on the experience. 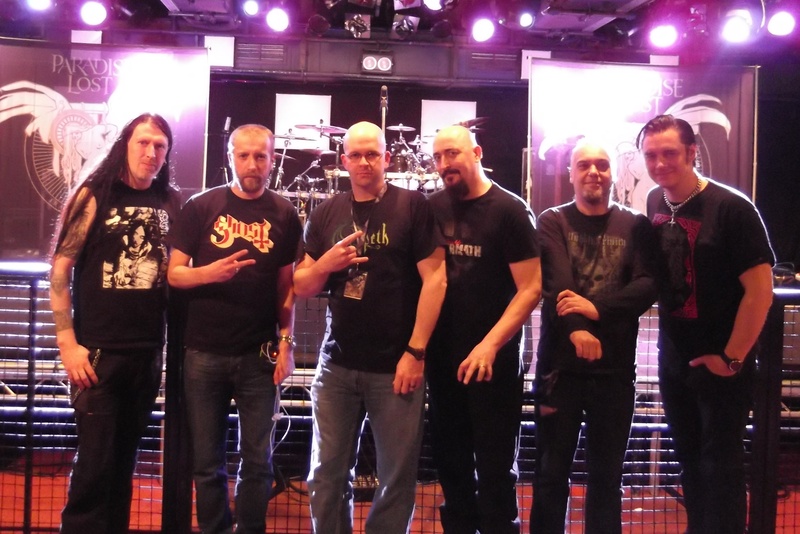 Not only did I get to meet Paradise Lost, I also got to meet the Finnish support act, Insomnium – double bonus! This is more than just a show review…it’s my awesome VIP experience with veteran doom masters. I was due to arrive at the venue at 4:30 PM. I was a bit late (f’n traffic!) and what turned my frown upside-down was the fact that the band and the crew were running a bit late as well. So, I didn’t miss out on anything. While we were waiting we had the pleasure of running into Insomnium outside the venue near the bus. They were pretty cool and we spent a good amount of time talking metal and touring. Since there were only three of us on the VIP list, they didn’t seem overwhelmed by eager fans impatiently waiting to get into the venue. We got to chat for quite a while before were ushered into meet Paradise Lost. When we were finally allowed in, it didn’t take long before the merchandise representative presented us with our Paradise Lost poster, VIP exclusive T-shirt, and VIP access halyard/laminate. By that time, Paradise Lost came in and appeared eager to greet us. Up to this point I was worried that the veteran rockers would have rock-god syndrome and act like this was just a formality. That surely wasn’t the case. They seemed enthusiastic to talk to us and sign anything we wanted them to sign. One die-hard fan brought an entire backpack full of vinyl, box sets, CDs, magazines featuring Paradise Lost, posters…you name it, they signed it. Lesson for next time…bring something else for them to sign besides the poster they gave me. We talked favorite Paradise Lost albums/touring stories and because I was the only American they asked where I was from and talked about some of their experiences in the United States. Bottom line…they were totally cool. I know they have a schedule to keep, but I never felt it was rushed. After the signings and talking we had a photo op with the entire band…cool! Then they played two songs for us… even cooler! That was rather strange to be one of three people watching a band play live. While they were playing we were able to snap all the pictures we wanted. 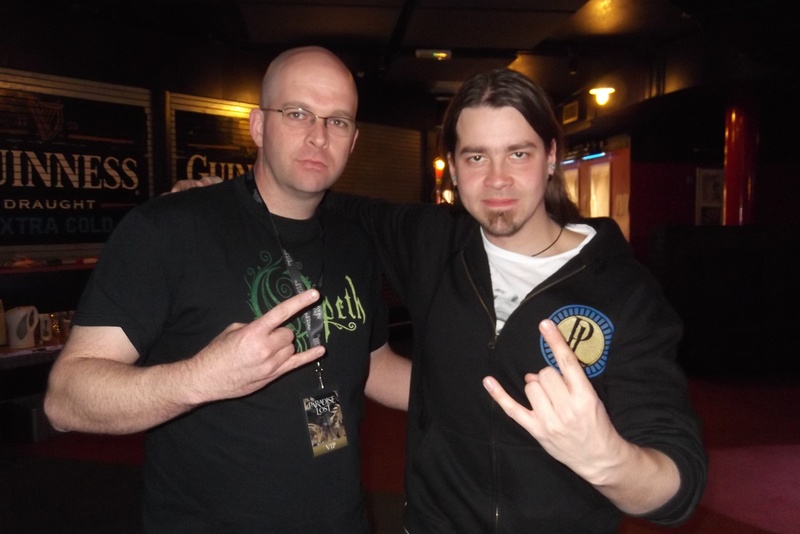 In the meantime I was able to step aside for a quick picture with Ville from Insomnium…icing on the cake! 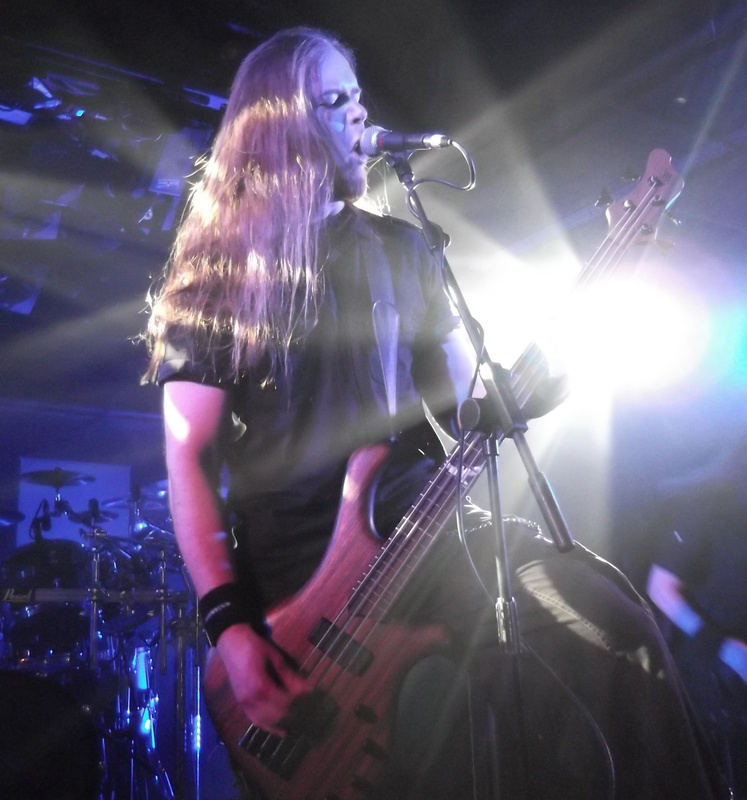 Insomnium hit the stage first and played an awesome set of melodic death metal. Since I am not entirely well-versed in their complete discography, I did recognize the songs they played from their most recent two albums – One for Sorrow at the very least. Unsung was a masterful performance. I even got a video clip of it that I accidentally deleted…(@#$%!). 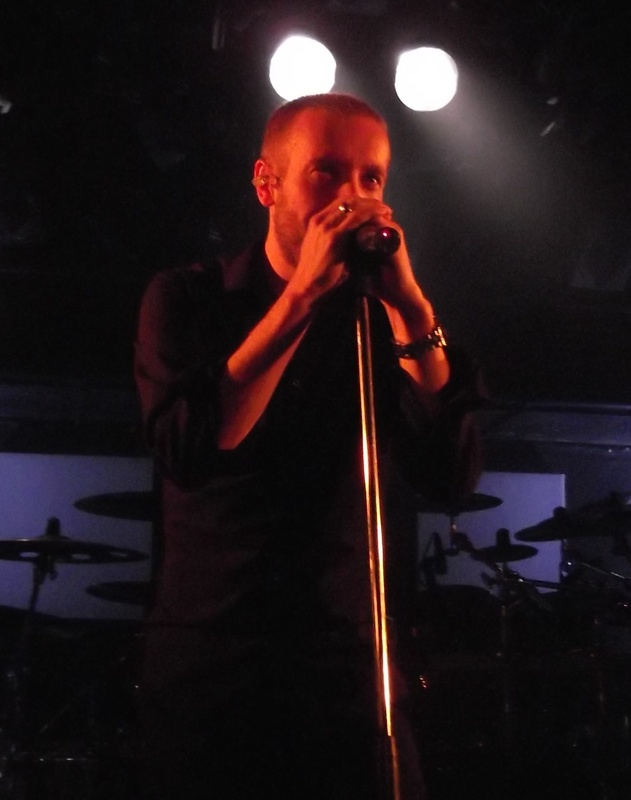 They also played One for Sorrow and Through the Shadow, both a couple of my favorites off the new album. As I was looking at their website, I noticed they will be playing in Denver, CO in November. Sweet, I will be back in the U.S. living in that area. I might have to get another dose of Insomnium. They are a great live band and played a great set. If you have not seen them, I highly recommend it. Paradise Lost then took the stage for their 75-minute set. They played a fairly wide variety of old and new songs. Their new album Tragic Idol was well represented with the songs Tragic Idol, Honesty in Death, Fear of Impending Hell, and In This We Dwell – all excellent choices for the new music. They also treated the crowd with some classics from One Second – Soul Courageous, One Second, and the closer of the evening, Say Just Words. Other tracks, Faith Divides Us-Death Unites Us, The Enemy, Symbol of Life, Pity the Sadness, As I Die, and Erased were also well-received by the crowd. Their musicianship was as you would expect from a band that has been in the business so long; their playing was tight and they seemed to be having a good time. Despite the sparse audience, as mentioned before, they (we) let Paradise Lost know we were enjoying ourselves. Overall, the evening was one hell of a good time and memories to cherish. This experience was quite memorable not only because meeting them was part of the package, but they were just cool dudes to be around and talk to. It makes the whole effort to get there early worth it. 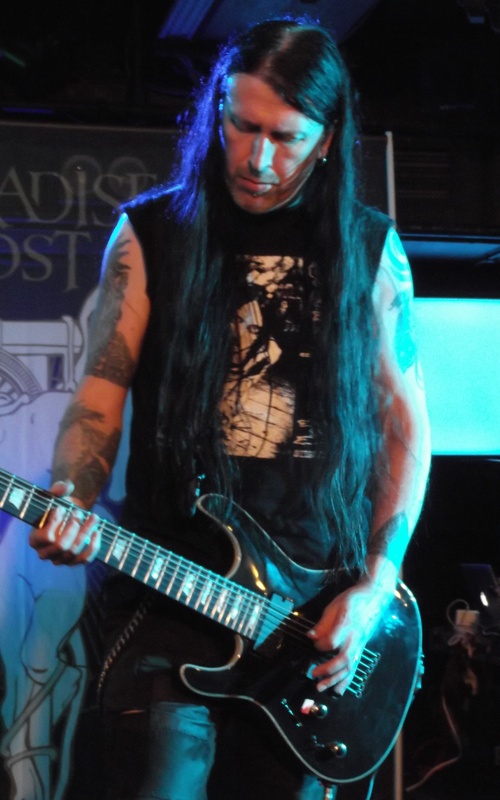 Posted on May 2, 2012, in Concert Reviews and tagged Insomnium, Paradise Lost, Tragic idol Tour, Waterfront Norwich. Bookmark the permalink. 5 Comments. Great review! Sounds like an awesome time. It’s cool that they were some laid back chill dudes. As par, great photos and video. I really need to take some time and give Paradise Lost another shot. Lol, I have the same exact Opeth shirt, one of my new favorites and one I’ll probably wear until it’s dust. Thanks! Paradise Lost could be hard to get into depending on what you listen to first…or how you like your doom. For the really heavy gothic stuff look to the early part of their career. For the “just” heavy stuff look to about 3rd 4th albums and the most recent three. In the middle is the more melodic synthesized Depeche Mode sounding music. I like them all, but I got into them a long time ago, so for me the change in music styles wasn’t so drastic. I like the Opeth shirt too, I only wore it twice since their show last November. Insomnium are great guys, and their discography is definitely worth checking out. Their début album is a little different, the second one is insanely heavy production-wise, third one is my personal favorite (when a gun’s pointed to my head) and fourth one is different but interesting, some guest cleans which are cool. Glad you enjoyed them live! I’ve seen them 3 times now. I haven’t heard anything from Insomnium’s early days. I will eventually. For now, I just have the most recent two albums which I do like a lot. They were cool dudes though. I definitely respect that! I hope PL does a great set at Bloodstock. Overall, it should be a cool festival to be at.